Buying a home is such a personal and individualized aspect of life. Whether you’re looking for a three bedroom ranch with plenty of land, or a modern suburban home for your growing family that’s close to all the necessary amenities, you need a place that fits you. The walls of your home should meet your needs, your wants, and your personality. At Inspira Group, we understand how important this decision is, and we want to fulfill your personalized dreams, whether you’re a first time buyer or moving up to your next home. We’re here to guide you through every step of the buying process, so that you end up with a home as fabulous as you are. Sometimes, the amount of information you’re required to know when buying a home can feel overwhelming. At Inspira Group, we want you to feel knowledgeable and empowered to make educated decisions. We’ll help you figure out what you are qualified to purchase, how much money you’ll need, and what your monthly payments will look like. Unsure about the loan process? Do you have questions about pre-approval? We’ll answer all of your questions and make sure any issues are resolved upfront. It’s our goal to save you time and money. We’ll meet with you to define your dream home: its features, location, and style. Then, our Inspira agents will search high and low to find homes that match your vision. We’ll create a personalized website, updated with available homes as they come up. Once we narrow down our search, we’ll send you out with an Inspira agent to start looking at homes, bringing the ownership dream one step closer. We won’t leave you when it’s time to sign the contract. Our agents will oversee every aspect of negations for your new home. Our team will coordinate the entire home inspection, escrow, and loan process. We’ll work seamlessly on your behalf to get you the keys of your dream home! 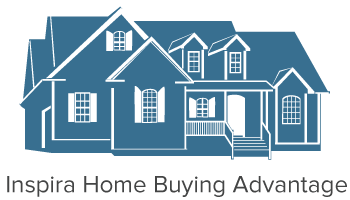 Contact us today for a no-obligation assessment of your buying, selling, and/or financing needs. We are an Equal Opportunity Lender. © 2016 Inspira Group, Inc. Privacy and Terms. All rights reserved. Website powered by Revenue River Marketing. © 2016 Inspira Group, Inc. Privacy and Terms. All rights reserved. Website powered by Revenue River Marketing.